Feel, taste, listen to Iran and celebrate with us the new year and the beginning of spring! “Norouz” is the name given to the Iranian new year (but also Afghan, Tajik, Azeri, Kurdish, Yezidi) that begins every spring. We will be soon entering the year 1398! 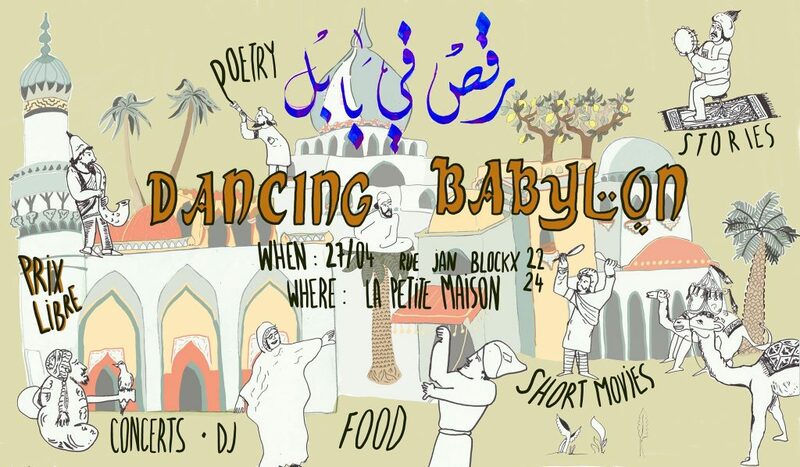 – Concert, DJ, poetry, projection, workshops, calligraphy and Persian video art. from 12h onwards, food, bar & Persian handicrafts market (jewels, bags, accessories, slippers, books, illustrations …) made in Iran. 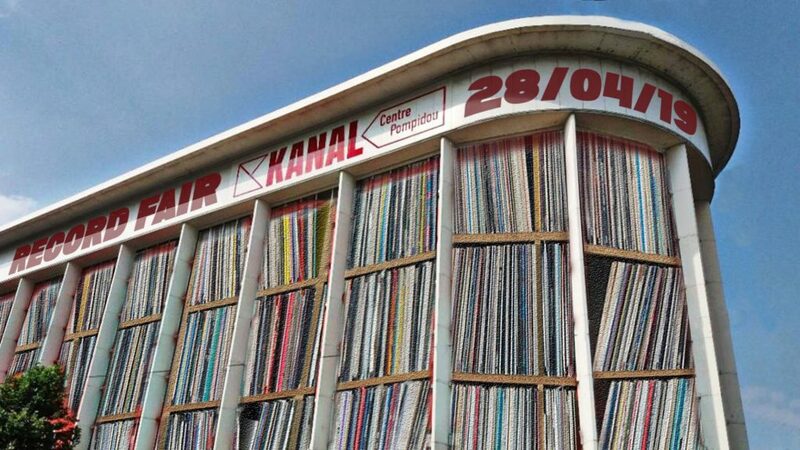 From 19h30 to 21h30 Rebel Up SebCat will serve Persian sounds from Azerbaijan to Iran, Kurdistan and all neighbouring countries. Khosh âmadid ! (welcome!) > FREE IN! See full info in FB event. We didn’t want to end 2018 without seeing your smiles & crazy steps on the dancefloor once more! With this special Xmas afro edition, Giraffes & Penguins would like to support the super nice project Jouwaii Traditional African Games Festival, that aims at gathering people of different Brussels communities around traditional African games. Therefore we’ll move to the African heart of Brussels for a day & night of African games and music! 15h – 20h (FREE IN) >> Introduction to traditional African games + masks & games diy workshops with the Jouwaii Traditional African Games Festival crew, for young & old alike. More details here. From 22h – 5am (5€ – cash only) >> Giraffes & Penguins African party in the main room with Rafael Aragon, Rebel Up SebCat, Le Grand Méchant Loop & Maria Ilia (video mapping) + acoustic reggae concert by Touko Sari + Jouwaii Traditional African Games Festival in the bar until 2am. See you there, for one last party before the holidays! Music-o-Jardin brings summer vibes to the Elzenhof garden in Ixelles. Come and enjoy the sun and music with cocktails, kids animation and catering by Our House. Free in! 17:00 => 23:00 DJ SebCat (Rebel Up) > vinyl set! and afterwards, playing at the Demarrage IV night in C12 venue. a free party night, also to celebrate the end of the student exam period. Theme of the night is DJ set in different BPM tempo’s, changing every hour, with a big array of Bxl & BE dj crews, such as Rebel Up, Mentality, Slagwerk, Under My Garage, Deep in House, Break The Silence, Dar, Lait de Coco and more. Free in, see you there! Friday evening, there is a concert in Ixelles of Cabo Verdian singer Tchala, who brings coladeira and morna songs. His music sounds sweet like this and this. also with afterparty with DJ’s Rebel Up SebCat, Wait’n’See & Diyei Pituto. food & drinks available at real fair prices. Afro Tuga time again! After our 1st super successful party in Brussels last June, it is time for Afro Tuga #2 and this time 2 nights in 2 cities: Antwerp & Brussels. Amazing artwork for both made events by Bichel Editions. Wilson Vilares started out as techno dj but the powerful music of the African ex-Portuguese colonies lured him in and he became a true connoisseur of the Luso-African music diaspora from Angola & Cabo Verde, Guinee Bissau, Sao Tomé and further. Last year a label under the same name, releasing talented Luso-African artists living in Lisboa such as Chalo Correia, Julinho da Concertina (both in Recyclart last 2 years). Expect wild funana, funky coladeira, shaking semba, rebita and much much more! Only 24 years old, DJ Noronha aka Fabio d’Alva Noronha is a young and talented producer / dj of the Lisbon southside Bairro da Jamaica area, across the river Tejo river. Part of the Blacksea Não Maya crew together with Dj Kolt, Dj Perigoso & Dj Joker who have released 2 LP’s already on Principe Discos. The Blacksea Não Maya sound is an urban blend of Afro Portuguese ghetto beats, spanking percussion and electronic tones, like slower funaná crossed with the rudiments of kuduro. Alien rumba for ballroom dance matinées. Puxa pa! The only non-Portuguese dj on the bill as local support. Part of the Brussels global crew Rebel Up!, which needs no introduction for those who come to their underground global nights. Expect some hot warming up in Luso African spheres, from vintage sounds to modern beats. Driven by their love for the analog sound, DJ duo Calacas explores the world of tropical grooves as cadencelypso, cumbia, guaguanco, afro disco and more. Their ultra-danceable sets leave no dance floor unmoved! Immerse yourself in a heavy sweaty trip through the Creole univers. Next day, Saturday 25 March > Brussels time! Festa Afro Tuga #2, organised together with NGHE Mediatheque. In a sweaty basement + upstairs bar in the Kuumba venue, Flemish-African house in the heart of the Matongé area, Ixelles. Expect all the wonder of the Afro Portuguese music, from vintage funaná & semba from Cabo Verde, Angola & diaspora to the contemporary Afrotech of Lisboa’s suburbs via Principe Discos label. 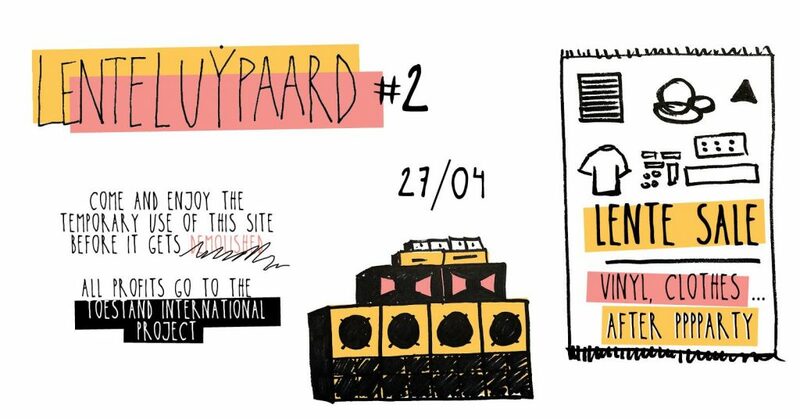 On Sunday, *afterparty* chill style in Brussels. We will end the Festa Afro Tuga in the NGHE mediatheque in Molenbeek with a presentation & label talk by Celeste Mariposa & a special documentary about music in Cabo Verde (1hr).